Reserve an entire table with seating for 10, in a single transaction. YOU WILL NEED TO enter information for yourself and UP TO 9 additional guests! Although the Tea is Sold Out, feel free to 'Join the Waitlist' (green button to the left), in case of cancellations! 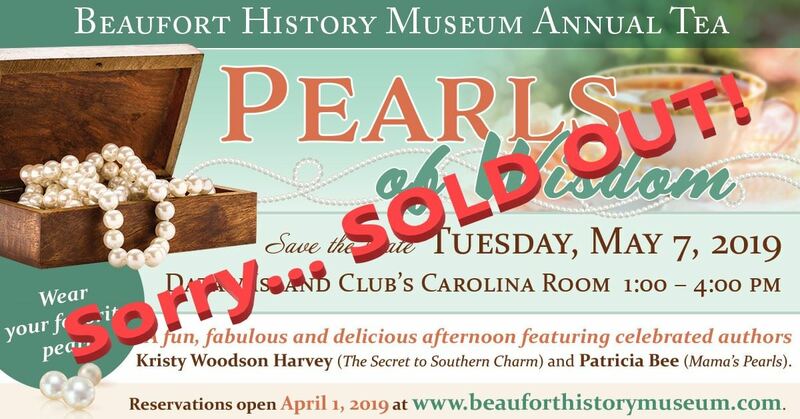 Invite your Book Club, reserve a table, wear your favorite pearls and plan to join us for a fun, fabulous and delicious afternoon featuring celebrated authors Kristy Woodson Harvey (The Secret to Southern Charm) and Patricia Bee (Mama’s Pearls). Advance Reservations for the Tea will be required (reservations will not be available at the door the day of the event). The deadline for making reservations is Friday April 26, 2019. Please note that the Tea has sold out in prior years before the deadline, so making your reservations early is strongly advised!